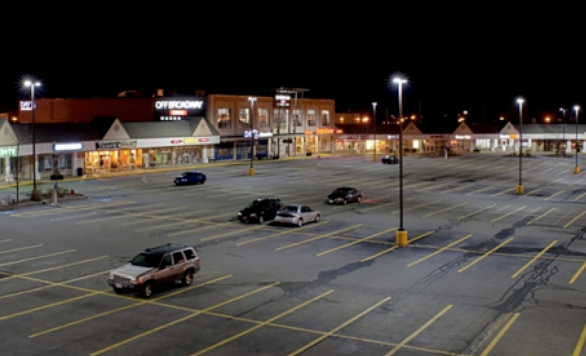 by T.J.Maxx in Manchester, New Hampshire, was incurring unusually high costs for parking lot maintenance from frequent lamp replacement and determined that poor power quality was the cause. Already preparing to replace the plaza’s 25-year-old luminaires, the owner began looking for alternative lighting systems that might offer a more robust light source. During this search, the plaza architect learned about the U.S. Department of Energy GATEWAY Demonstration Program and the Commercial Building Energy Alliances (CBEA) LED Site Lighting Performance Specification and contacted Pacific Northwest National Laboratory to learn more about both. The owner was particularly interested in occupancy sensors, which would offer the additional benefit of reducing energy use when the plaza is unoccupied, while still providing enough lighting for visibility. Because occupancy sensors are rarely used in parking lots, this installation presented a unique learning opportunity of significant interest to the GATEWAY program. In this project, a total of 28 (twenty-two 400W [lamp rated power] high-pressure sodium and six 400W metal halide) luminaires were replaced with 25 LED luminaires (120 LEDs per luminaire) manufactured by BetaLED ®, with each luminaire controlled by an integral occupancy sensor that varies operation between high and low light output settings. The LED product achieved an estimated payback in this installation of about three years, due to the combination of high electricity ($0.14/kWh) and maintenance costs incurred by the conventional products at this location. 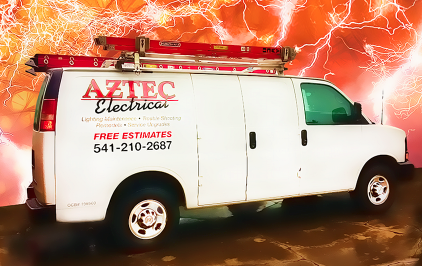 At Aztec Electrical we will help you get your lighting retrofit project optimally designed and installed correctly. Click here to send us an email.